3 Ways to Blossom Up Valentine’s Day! We’ve put together a list of 3 ways to blossom up Valentine’s Day with flowers. Below you can read about 3 romantic gestures you can do with flowers to express your love. Think Valentine’s Day is all about the red and pink? Well, it doesn’t have to be! Surprise your special someone with beautiful fresh-cut flowers in unexpected colors that will really knock ’em for a loop. Let’s assume if you found this article you have already had the brilliant idea to send your sweetheart some flowers. Congratulations! You are going to make someone very happy because that’s what flowers do. Sending V-Day flowers should be fun and exciting so don’t think plain red roses are your only choice. I mean, if those are her favorite, then by all means, don’t disappoint. But maybe she likes variety. Maybe she sees herself a trend-setter. Maybe she just likes surprises! If she doesn’t have her heart set on something specific, a colorful expertly arranged bouquet of unique flowers might be just the ticket to her heart this year. Your local florist can help! Shopping online for flowers is a great tool for finding something you are looking for. And that’s the way of savvy tech folks after all. Add to cart and you are done! But for something extra special, go a step further. Talk to your florist in person or on the phone. Why? Because florists can tell you what flowers they have in stock right now, what is looking the freshest and brightest and tell you about more unusual varieties that might not be listed online. So you’ll probably be spending the same amount of money but are more likely to get something as unique as your love for your main squeeze. Valentine’s Day is about showing someone you care. Guys often lament they don’t know what girls want but a sure-fire way to impress a lady is to give a gift that shows that you notice things about her. This goes beyond knowing her favorite color, although that is certainly not a bad choice if you know it already. (Don’t ask. Really. Not this close to the holiday. Dead giveaway, man.) Think of a detail about your favorite person. This is really easier than it sounds. It could be her favorite sweater. Or a bright colored dress you remember her wearing last summer. Did she drag you shopping and model some crazy outfit or shoes that she just loved. This is valuable information! Pick flowers in one of those colors. On the card, you can mention the memory if you want – “For you on Valentine’s Day. These flowers reminded me of how beautiful you look in your purple dress.” Or leave her guessing for a little added mystery. Want a color that is charming with a spark of imagination? One that inspires confidence and emanates great joy, love and health? These are all qualities claimed by Radiant Orchid, Pantone’s official color of the year. By picking flowers in this hue you will be exactly on trend for the season and any fashion lover or design-conscious girl will notice! Go for a different design that includes a bright vase, cascading blooms or twisting vines. Feathers, beads, glitter, natural seed pods and hand-sculpted wire picks are some more exciting elements that can be added to any arrangement for more color and texture. If you haven’t seen it before she probably hasn’t either! And with a talented florist at the helm you can’t go wrong. While there is nothing at all wrong with more traditional red and pink fare, you might be looking to mix it up for a real surprise. Different colors like vibrant yellows, perfect peaches, passionate purples, delicious oranges, snappy greens and more will make this Valentine’s Day pop! Valentine’s Day wouldn’t be complete without a gorgeous bouquet for your Significant Other, but what about that pesky card? It can be difficult to come up with the perfect words. Knowing what to say or how to say it is not always the easiest of tasks. If you’re struggling to find your voice, ask your local florist for a suggestion. Or you could scroll down and read 5 Valentine’s Day card poems to help you send the right message! have set my heart a racin’. ‘Tis forever that I’m chasin’. is vibrant, strong and pure. can hold to you a prayer. we’ll dine and dip while dancing. will find our passion advancing. Card messages are not always easy, but hopefully these poems have helped or at least inspired you to find the exact words to let her know how you feel. Have some original poems of your own you’d like to contribute? Leave them in the Comments below! Want The Perfect Valentine Gift? Valentine’s Day is your big chance to show her how you really feel. And nothing can express that better than flowers! 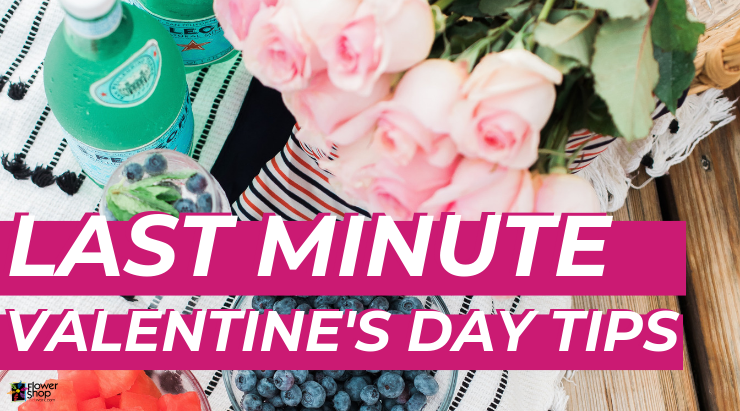 Watch this video for some absolutely stunning flower arrangements that your local florist can create just for your special someone.